The Confederation of ATM Industry (CATMi) has warned against another financial shock which may arrest the cash supply in the economy. The financial sector that is still recovering from the shocks of demonetisation may witness another hurdle. The new regulations made in ATM operations are likely to force the closure of 2.38 lakh machines in the country by March 2019. The Confederation of ATM Industry (CATMi) has now warned against another financial shock which may arrest the cash supply in the economy. The effect of the ATM closure is expected to in similar lines with demonetization which impacted millions of jobs and hampered the financial inclusion efforts initiated by the central government. 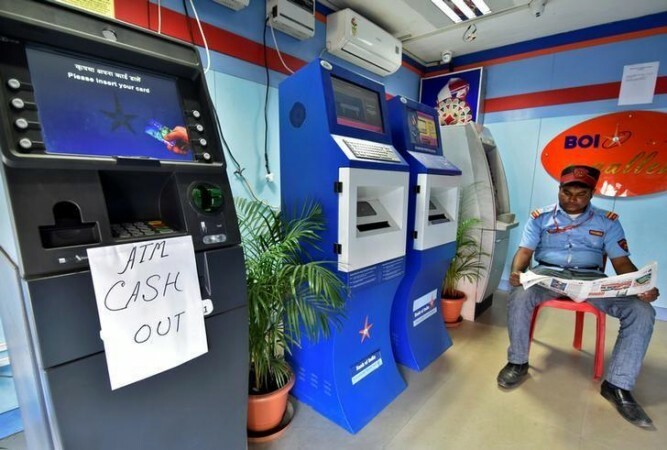 The industry said that "Service providers may be forced to close down almost 1.13 lakh ATMs across the country by March 2019. These numbers include approximately one lakh off-site ATMs and a little over 15,000 white label ATMs." The body added that the industry had reached a point where even a slight change in the regulation could lead to catastrophic results. The report highlighted that non-urban areas are going to bear the brunt of the ATM closure as most of the ATMs which are not aligned with regulations are operating in these regions. Moreover, it also said that Modi government's effort of the financial inclusion is going to be affected as a major part of the beneficiaries use the machines to withdraw government subsidies. The body argued that recent regulatory changes introduced by the centre that includes those on hardware and software upgrades, mandates on cash management standards and the cassette swap method of loading cash, will make ATM operations unviable, which would eventually lead to the forced closure. The cost involved in refabricating these ATMs is as high as Rs. 3,000 crore and the industry has shown its inability to fund the project. It also said that the ATM industry, including managed service providers, brown-label ATM deployers and white label ATM operators (WLAO), is yet to recover from the shock of demonetization. It highlighted that "the situation has further deteriorated now due to the additional compliance requirements that call for a huge cost outlay. The service providers do not have the financial means to meet such massive costs and may be forced to shut down these ATMs."